Bhutan Agriculture and Food Regulatory Authority (BAFRA) disposed of goods worth over Nu 65,000 in their biological pit in Samtse today. The authority seized expired items from warehouse of about forty five shops in the main town. Most of the seized goods were soft drinks packed in plastic bottles. 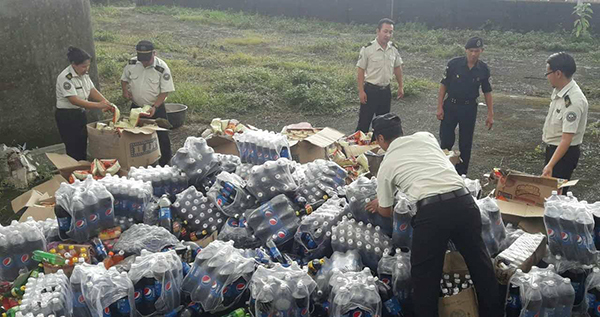 The items were seized during the two-day mass inspection conducted last week. BAFRA officials said the offenders were imposed penalties equivalent to market value of the seized goods. This they said is in line with the Food Rules and Regulations of Bhutan 2017.